"The name written in blood!" "The Crazed Love of a Prehistoric Giant for a Ravishing Teen-Age Girl!" Somewhere in the California desert, in defiance of all known anthropology, lives, in a cave, a caveman, played by a cave-Kiel, who's been given unnaturally long life by sulfur water. He comes into contact with 60s youth culture, and ends up face-down in a swimming pool, dead. Shtemlo! It's a popular episode, with pointless dune buggy scenes, whimsical editing, and much oddness to be spied. Note: in one scene Kiel laps up shaving cream with his gigantic tongue, so you may not want to watch on a full stomach. And remember, watch out for snakes! YouTube (1h32m) Premiered August 28, 1993. "Teenagers stumble across a prehistoric caveman, who goes on a rampage." Directed by Arch Hall Sr. Written by him and Bob Wehling. Starring Arch Hall Jr., Marilyn Manning and Richard Kiel as "Eegah." Every week we of the Fanfare MST3K Club watch that week's episode of the show in a chatroom. The room handles playing the episode (usually off of YouTube), but we follow along in a chatroom on the same page. This week, the show will once again be at cytube: https://cytu.be/r/Metafilter_MST3KClub. For more (slightly out-of-date) information, please consult the club FAQ. 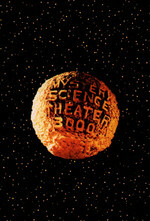 This was one of the first Mystery Science Theater episodes I ever watched, to this day remains one of my favorites. Come for the endless dune buggy driving (don't worry, they're water filled tires!) stay for the bizarre biblical denouement. He resents my dune buggy!